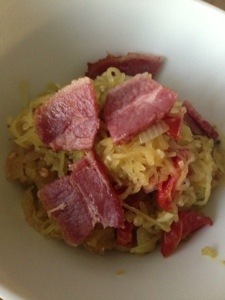 My expert gourmet sister said this is called a lyonnaise salad. 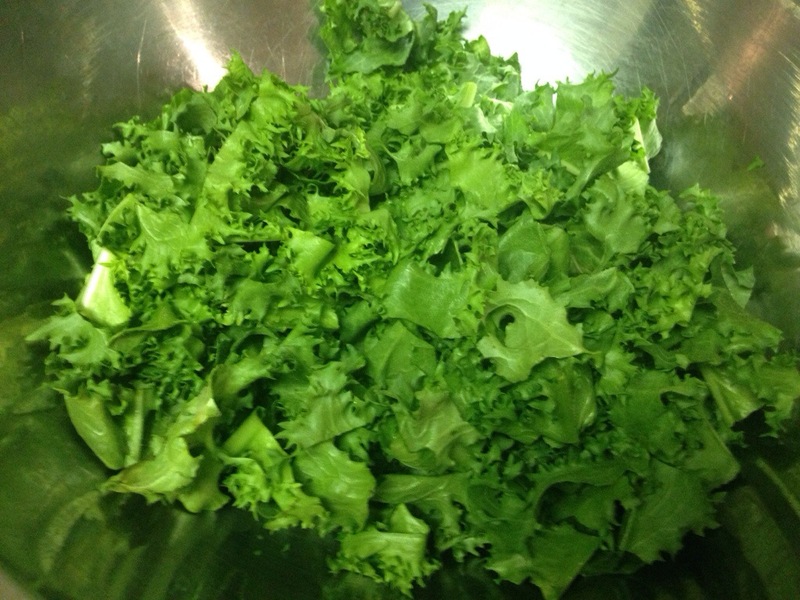 She also pointed out that the lettuce I used wasn’t actually frisée, but whatever I used turned out pretty tasty! I got (what I thought was) frisée lettuce in my bountiful basket yesterday and had no idea how to use it. 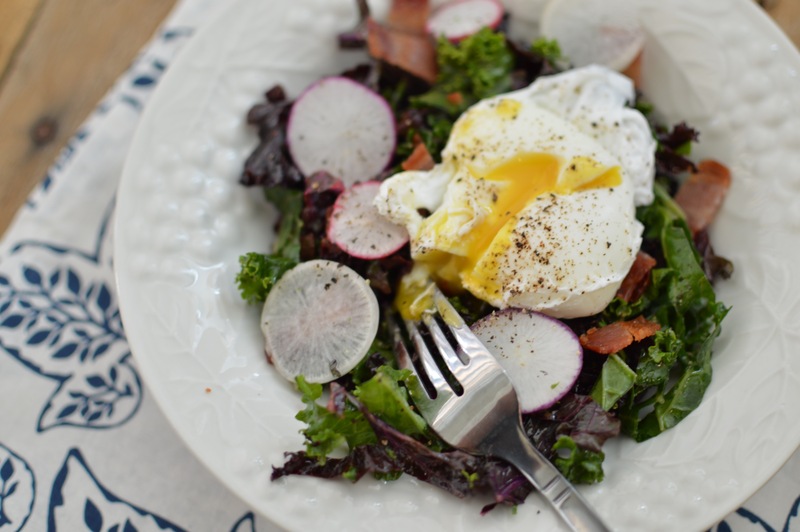 After googling recipe ideas, I learned that frisée is best with warm, savory dressings. The recipe I ended up using comes from epicurious.com. You can read it here. I followed every step exactly- I tore the lettuce into bite sized pieces. 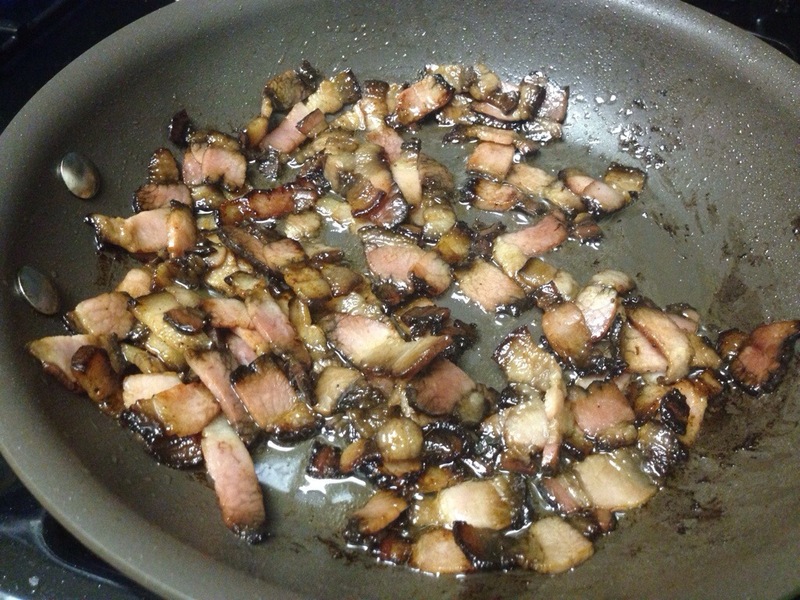 I cooked some delicious uncured Black Forest bacon cut into 1/4″ pieces. 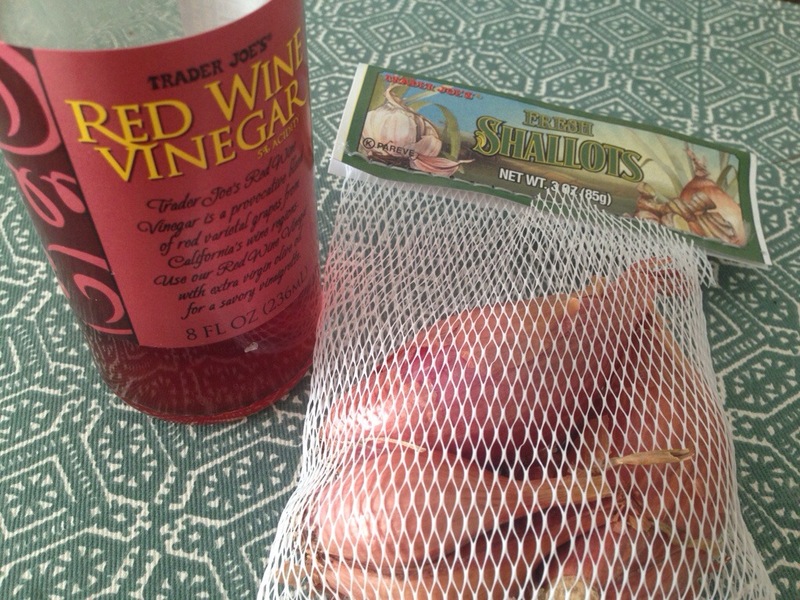 I finished the hot dressing with shallots and red wine vinegar. 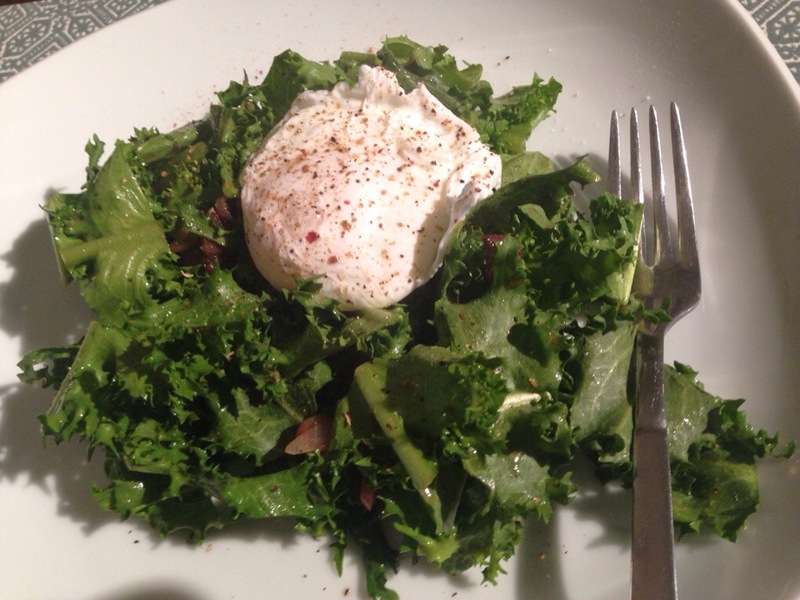 The part I was most excited about was successfully poaching an egg to top the salad with! The instructions in the recipe are very helpful. I don’t usually love salads, but this beast is SO GOOD! 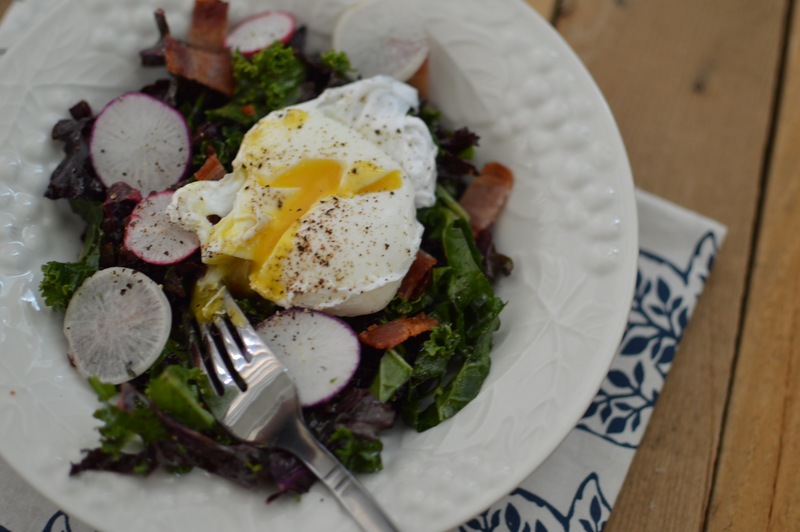 I will definitely be making this bacon salad again and again. It’s gluten and grain free and very simple to put together once you get the hang of poaching eggs. It would be delicious without the egg, too.